What Will Happen To SMART & Its Drivers? Southern Modified driver Brian Loftin, who thinks the NASCAR Southern Tour is a good thing for Modified racing, doesn't see much of a future for the group know as SMART. SMART officials say NASCAR has told them they will hold a meeting sometime in January to discuss details about the new NASCAR Southern Modified Tour. It is expected in that meeting that the schedule and rules will be laid out for the 2005 season. That answer clarified some of the confusion caused by a quote that had some believing that NASCAR was going to take over the SMART Tour. At the NASCAR Modified banquet in Connecticut a few weeks ago, NASCAR Director of Touring Development Don Hawk said “you will be reading in the newspapers over the next week that we will be running what was called the SMART Tour for Southern Modifieds.” His quote and the unknowns of this newly announced Tour has had Southern Mod drivers on edge about their future. So, is NASCAR taking over SMART? Have SMART and NASCAR partnered for this new southern tour? 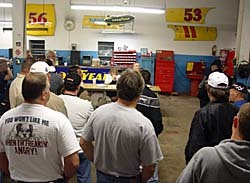 To answer many of these questions, SMART officials held a meeting at Puddin' Swisher's (former southern Modified great) garage Monday night. The old garage was filled with a ton of tension and confusion as SMART drivers and team members fired off their grievances toward newly elected SMART President Josh Jenkins. So where does that leave SMART? If there is no SMART Tour in 2005, what is the purpose of the organization? “SMART is still here as a group,” says Jenkins. “We still have our equipment. We are going to keep it. “Once NASCAR decided they were going to have a tour, right or wrong, we didn't have much of a choice. We had one choice; run non-sanctioned tracks. We've been trying that and maybe we'd get one non-sanctioned track a year. I felt like once they started their tour, our tour was pretty much over with. That will be the case until they decide their Tour is over with. If that happens we will go back to running our own Tour”. 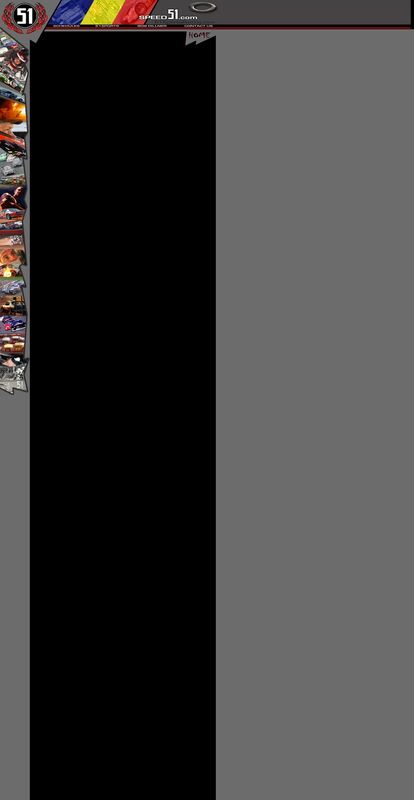 Winds of change have swept the modified world in recent months. Arguably the most change has come for Modified drivers below the Mason-Dixon line. The southern based SMART Tour decided in November to drop their affiliation with ASA. 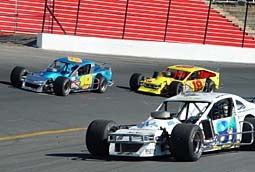 Then, a few weeks later, NASCAR announced they would be running their own Southern Modified Tour. Not all of the cars are out of the ballpark with NASCAR's Northern Mod rules. “All of our cars are up to the northern rules already,” says Brian Loftin. “We have 18-degree motors but we just don't run spools. We don't have our oil cooler inside the car but that isn't that big. It's not that big of an expense for me. “I think they would lose a lot of cars if they went with the Northern rules though. With our field, I think 12th on back would not meet their rules. 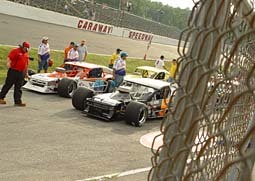 But Loftin and others welcome the Tour and the prospect of running more races with Northern Modified racers. 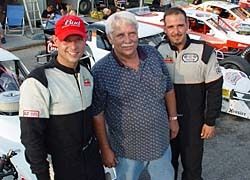 Burt (left), Gary (center) and Jason (center) are two of the three generations of Myers greats to grace the Southern Short Track scene. Burt Myers, who's Philip Smith owned cars will be ready to run the new Tour in 2005, says the cost involved in changing the cars would have a trickle down effect on the little guy. Many SMART drivers are worried that if NASCAR sways from SMART's rules package, a bunch of teams will be left out in the cold with obsolete racecars. Eric Beer's #19 ROC Mod runs with Bob Park's yellow #19 and Brian Pack at the North South Shootout. With NASCAR steering the ship for the Southern Modifieds, many improvements are expected. From a business standpoint, NASCAR's involvement brings a an identity to Southern Modifieds that it hasn't had since NASCAR virtually left the Southern Mod scene in the mid-eighties (with the exception of weekly Mods at Bowman Gray Stadium and an occasional show down south). Mod Racing in the South has also been lacking major financial support, while some other Short Track Series have been able to attract sponsorship to its series and teams. 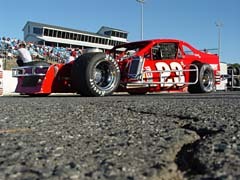 Brian Loftin's #23 is ready to roll in 2005. For Advance Auto Parts, a company that has long supported Short Track racing and Modifieds in particular (Junior Miller's #69 Southern Mod), the alignment with NASCAR means more bang for their buck. weekly tracks down south. That was without really doing the promotions and the things that NASCAR can do. 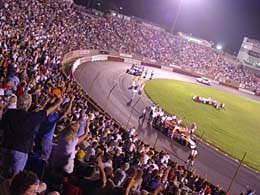 Bowman Gray stadium will pack 'em in for it's own NASCAR Southern Tour show in 2005. And for sponsors like Advance Auto Parts those crowds are very attractive. Later on this month, when NASCAR gets together with the teams, the cards will all be laid out. The rules will be set and the tracks and dates will be on the table. With those issues resolved the only thing left will be to get to business and race. “I am sure that once the cars get cranked up and the schedules come out I think everything will fall into place,” adds SMART President Jenkins.